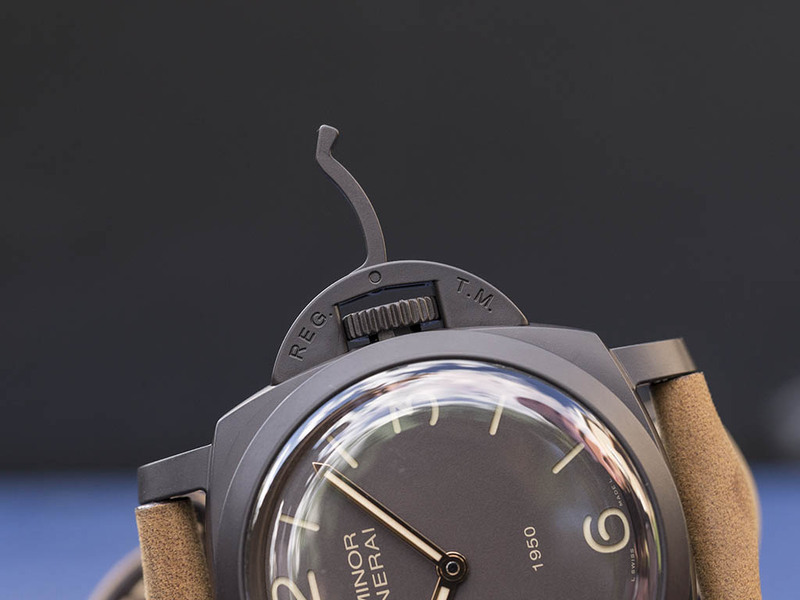 When it gets to Panerai, one of the first things we recall is the half moon shaped crown guard. 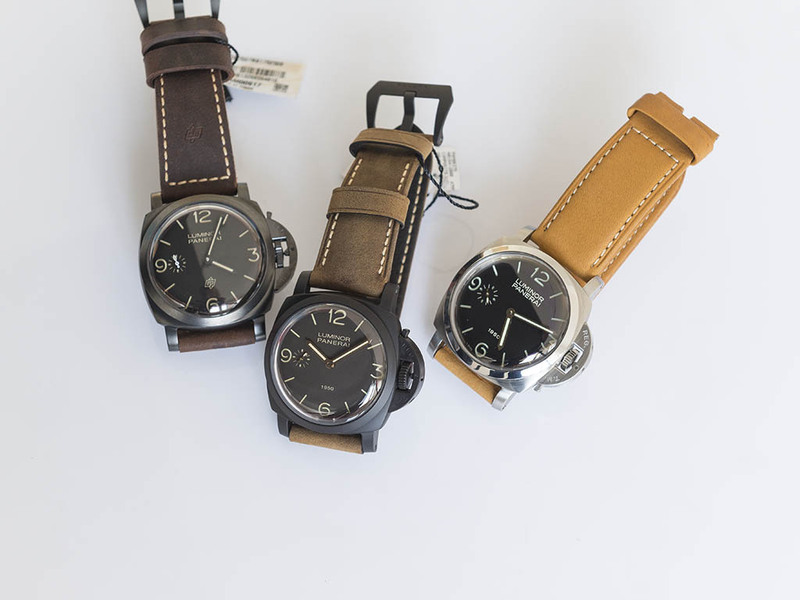 I believe we are safe to say that it’s one of the most important and distinctive features of Officine Panerai timepieces. Being used at the timepieces listed under the Luminor product line, this patented crown guard is more than an aesthetic feature which makes the Luminor watches special to many watch enthusiasts. The Luminor case models have their own collection featuring several versions. Undoubtedly, Luminor 1950 has its own story among the others. Initially launched with a limited edition of 300 pieces PAM00127 “Fiddy” model, this case design has been used for several timepieces in both limited and standard editions. 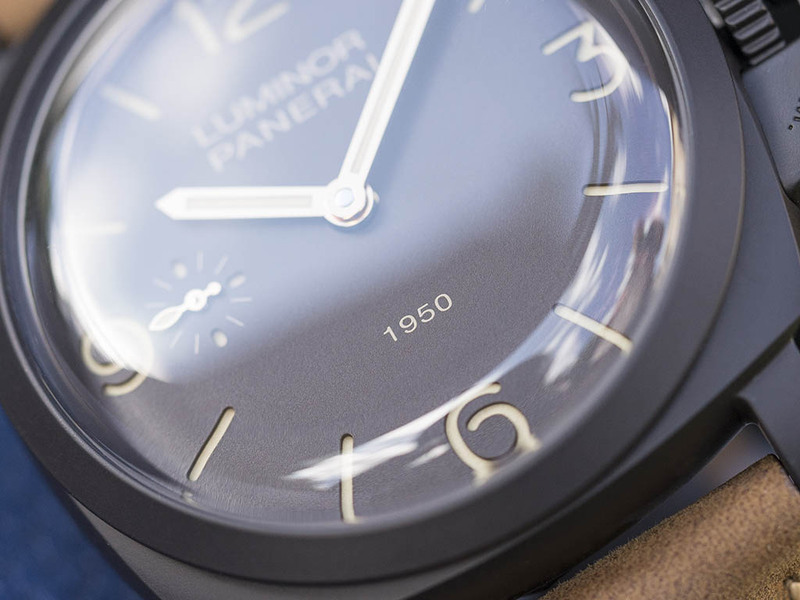 PAM00127 is one of the most sought after versions of the Luminor case Panerais. The most significant detail making this watch an object of great desire is its unique case dimensions. 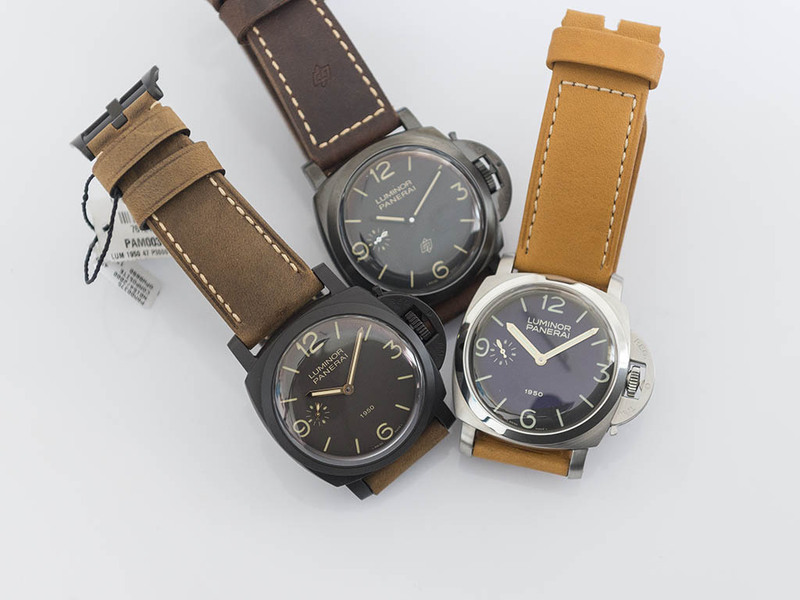 Many years after the PAM00127 model, Officine Panerai launched another Luminor 1950 version PAM00375. Though it’s been an instant success among fellow Paneristi, it could not been produced due to the problems happened during the reliability of Composite material. 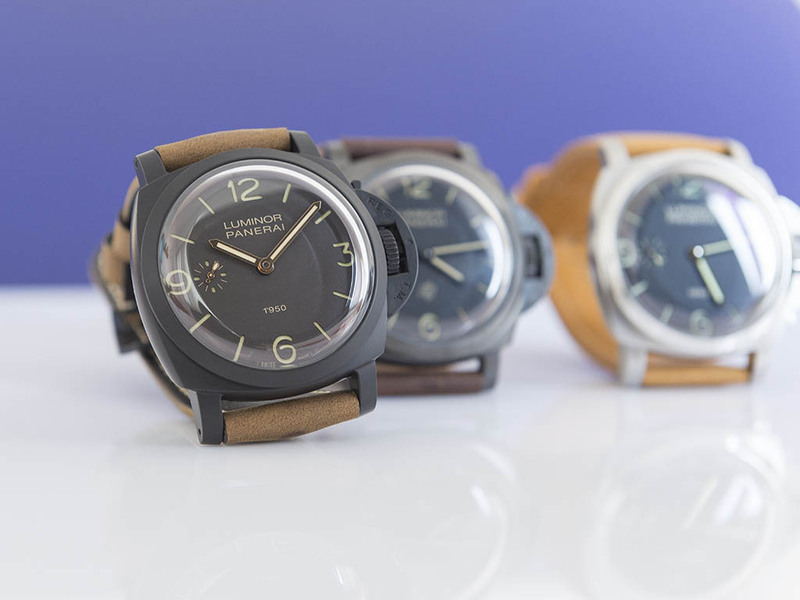 Fortunately, Panerai released a couple of Luminor 1950 versions in 2015. The first one was the Luminor 1950 Titanio DLC PAM00617 model which had the same measures with the original Luminor 1950. The second one PAM00375 followed soon with a Composite case again which had been just proved to be good to go. PAM00617 was highly appreciated by the watch aficionados who affected the sales directly. The not so pretty part of the deal was PAM00617 being limited to 300 pieces only. 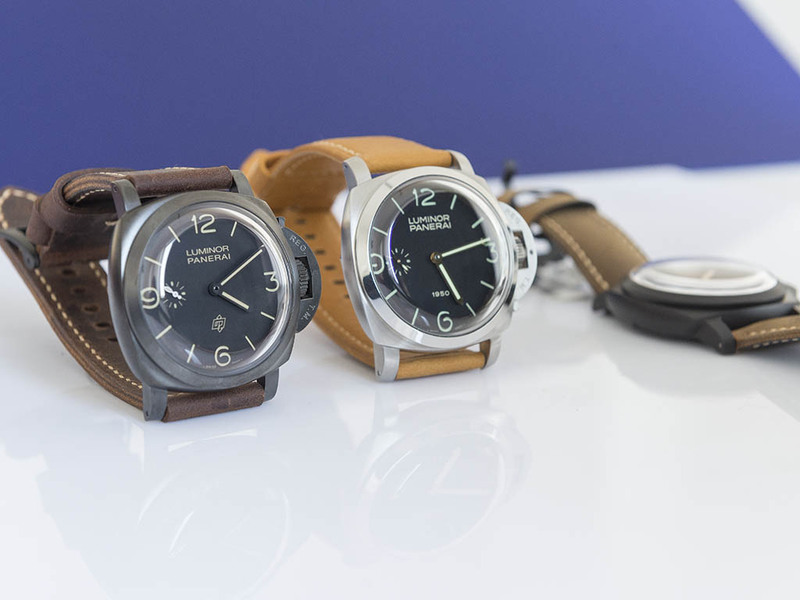 Being quite a small figure for the brand’s production numbers, 300 pieces literally sold in a flash leaving many un-happy Panerai collectors behind. Fortunately, PAM00375’s was a beautiful timepiece and most importantly it was a standard production model. Both models feature 47mm cases which sport the exact dimensions with the Fiddy produced in 2002. 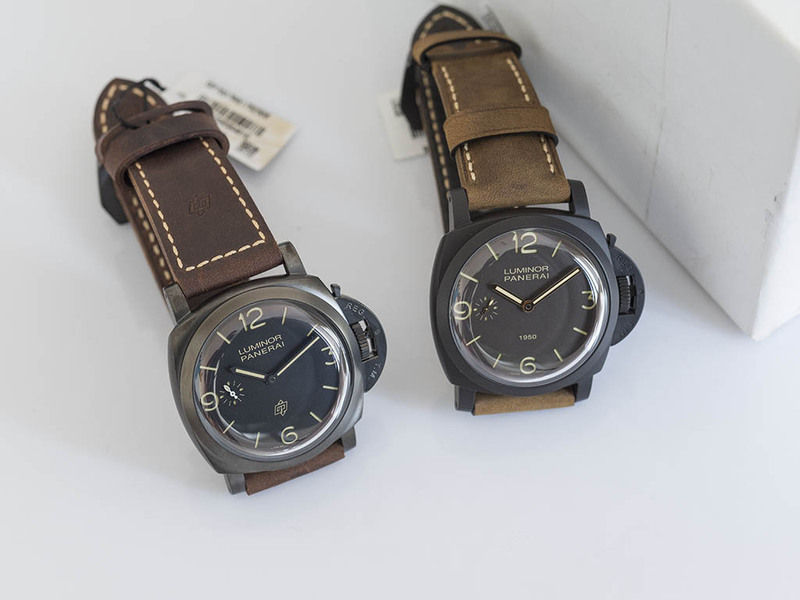 Both versions come with the manual winding Caliber P.3000 allowing the timepieces to be reasonably thin which practically helped to get the unique proportions of PAM127. PAM00617 features a DLC coated titanium case. Considering the case dimensions, the watch feels lighter than it appears thanks to Titanium. The coating tone is close to anthracite. PAM00375 on the other hand, sports a Composite case. This alternative material is actually aluminum with a super hard oxide treatment. Composite has its own color tone which is close to matt brown.Due to its aluminum based structure, PAM00375 feels more comfortable on the wrist than the DLC coated Titanium PAM00617. The differences may not seem that significant from a distance but when you get close to the watches they are quite apparent. PAM00375 features the “1950” marking like the first version aka Fiddy. PAM00617’s dial features the OP logo at the same location. PAM00375 sports a hand set made of gold while PAM00617 features them in black. Both models deliver a perfect harmony with the use of cream tone indexes over the sandwich dial. The common features for the watches are the sapphire crystals on the front sides and WR100M rating. 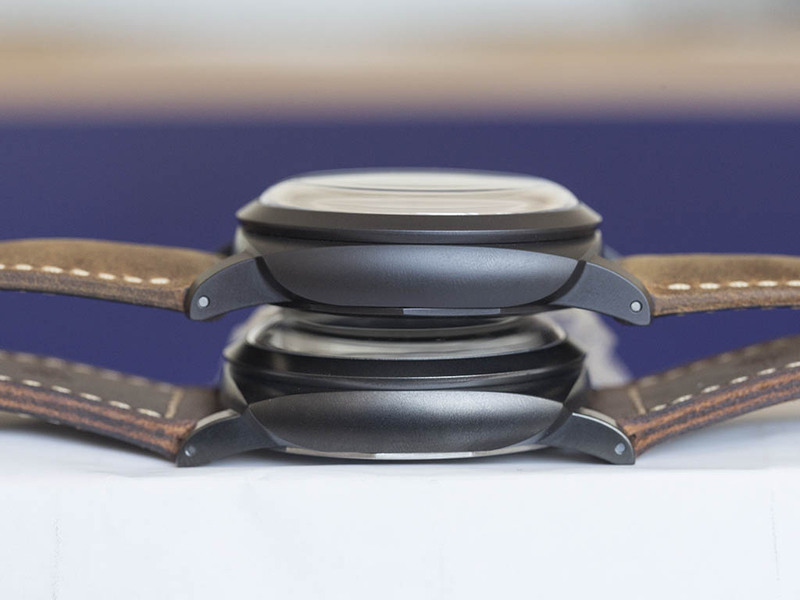 Another significant part of the watches are their straps. PAM00617 comes on an aged and OP marked brown leather strap which is an absolute masterpiece. PAM00375 features the classic brown “Assolutamente” which matches perfectly with the rest of watch. 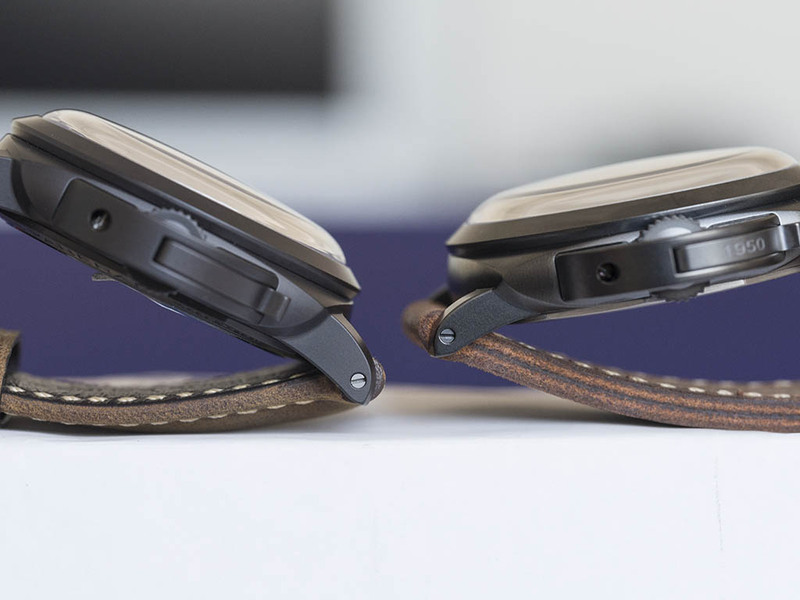 Strap choices for both models are superb. Both timepieces sport the in-house and manually winding Caliber Ref. P.3000. 21 jeweled movement beats at 21600vph and it offers 3 days power reserve when fully wound. We are free to see the movement under the brown smoked crystal of PAM00375 but, PAM00617 does not reveal the beautifully finished movement due to its solid case back. To get such an iconic design like Luminor 1950 with a manual winding movement is surely a dream deal for many watch enthusiasts however; it’s equally hard to make it happen. The attention over the limited versions is getting stronger by each new model. 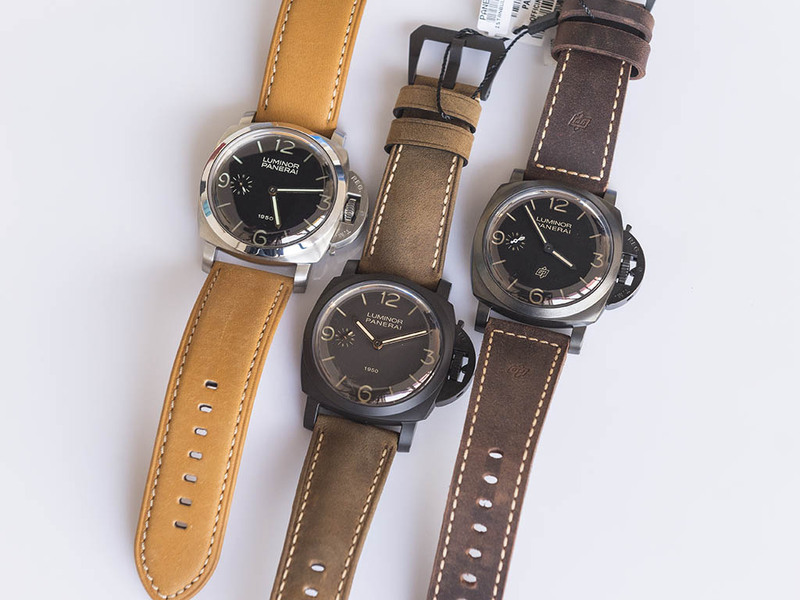 If you happen to own a PAM00617 and a PAM00127 you are a proud member of Lucky Luminor 1950 Owners Club. If you don’t, than focus on the beautiful but more importantly still available PAM00375. It is an excellent watch with an iconic designs and relatively available stock status.